The Federal Communications Commission (FCC) designed the Emergency Alert System (EAS) as a tool for officials to quickly send important emergency information targeted to a specific area. The FCC, in conjunction with the Federal Emergency Management Agency (FEMA) and the National Weather Service (NWS), implements the EAS at the federal level. EAS is the nation’s public warning system requiring broadcasters, cable television systems, wireless cable systems, satellite digital audio radio service providers, and direct broadcast satellite providers to provide communications capability for the president to address the American public during a national emergency. FEMA is responsible for a national-level activation of the EAS, tests and exercises. The National Weather Service activates EAS most frequently for imminent and dangerous weather conditions. The NWS uses NOAA Weather Radio as its primary means to activate EAS. The EAS is also activated to enable state and local authorities to communicate important non-weather emergency messages such as AMBER Alerts and Civil Emergency Messages. The majority of Ohio counties have a network of outdoor emergency alert sirens to aid in early notification of weather emergencies. The sirens are designed as an outdoor warning system and may not always be audible in densely populated areas or indoors. 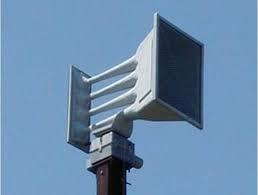 Outdoor siren systems are activated locally and are designed to alert area residents of threatening conditions. On flat terrain with now wind, most sirens can be heard up to one mile away over normal background noise. Siren systems are tested regularly by the counties. For additional information on Ohio’s Emergency Alert System, contact the Ohio Emergency Management Agency at (614) 799-3645, or contact your local emergency management agency to verify your county’s participation in siren testing and the annual statewide tornado drill.